As grass grows and dirt and dust are blown around by the wind, it makes it so that these particles get trapped. While most of them will be simply absorbed into your yard, some of them will tend to accumulate where grass meets sidewalk or driveway. 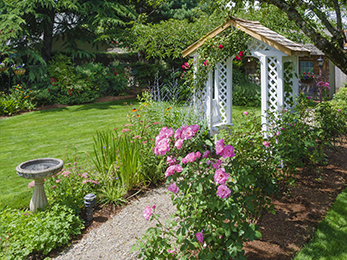 As dirt gets caught along the edges of a lawn, it adds more space for grass to take seed and grow. In turn, this growth tends to lead to a less uniform and precise line around your paved areas, as well as being able to completely begin overtaking concrete as more and more gets added over time. 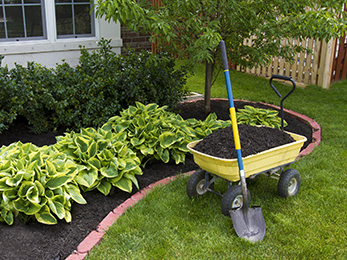 Edging is the best way to keep things neat and tidy. While using a weed whacker to trim edges that your mower missed is great for length, only an edger is going to completely chop through extra growth and give you nice clean lines again on your property. It is a good idea to edge every couple of weeks or so, in order to get at new growth before it has time to sink in and develop. A lot of people do not pay as much attention to this as they should, due to the fact that it takes a while before the yard looks problematic. 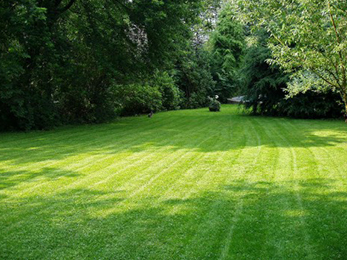 It is best to not wait- so make sure to be vigilant with edging as long as your grass is in a growing season. It will make future work much easier to perform!